one of the first cooking equations i learned as a young gal was that beer + cheese = heaven. 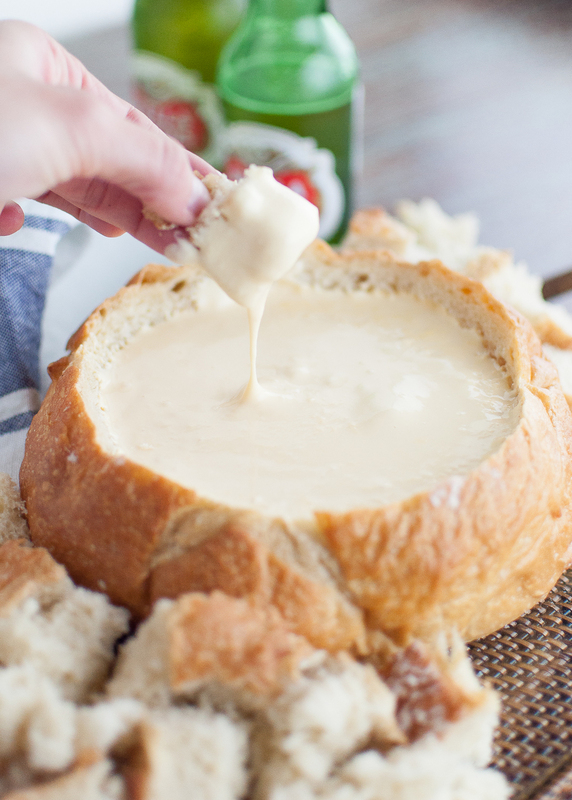 add a fluffy, golden french bread bowl for dipping? you'll be the number one invite on everyone's super bowl party guest list. not only are there only three ingredients well, four, if you count the dipping device (aka bread), but it only takes about 10 minutes to whip up. translation: you don't have to fake it when you do the whole oh-of-course-i-didn't-forget-to-bring-the-appetizer dance. combine velveeta and cream cheese in a microwave safe bowl, and heat for 3 minutes. meanwhile, cut a circular indention into the top of the bread loaf and hollow out the center. tear up the excess bread and set aside for dipping. now back to the cheese. stir the cheese as it starts to melt together and add 1/2 of the beer. continue to microwave another 1-2 minutes, gradually adding more beer and mixing until smooth. 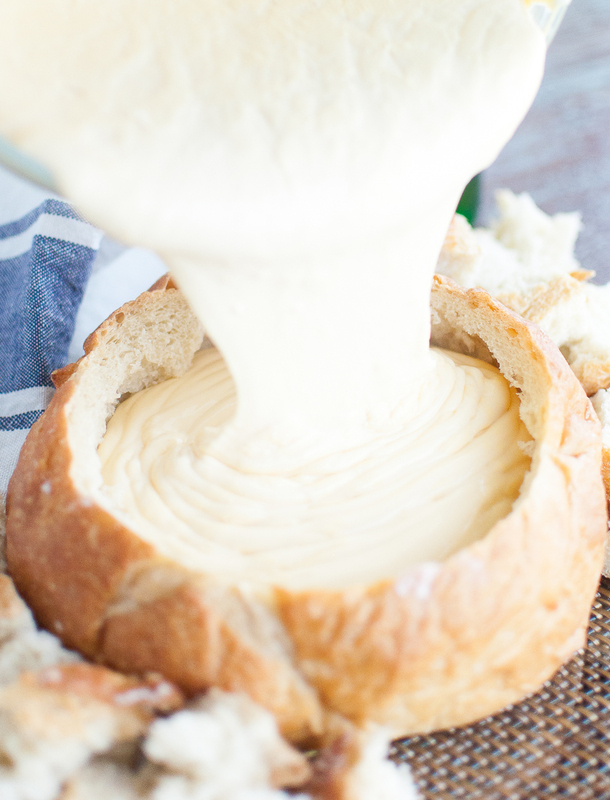 pour into bread bowl and rejoice.